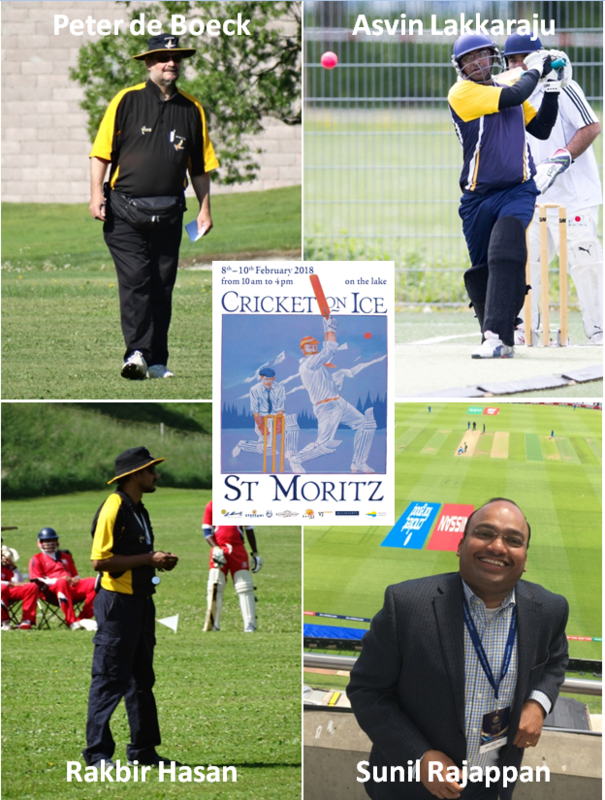 We are pleased to announce that there are four qualified officials for the 2018 Cricket On Ice Trophy. The very international team of officials for this year's event are Peter de Boeck (B), Asvin Lakkaraju (CH), Rakbir Hasan (I) & Sunil Rajappan (UK). This team of esteemed umpires will be charged with keeping the tournament on time and that everyone plays within the Spirit Of Cricket-On-Ice, in addition to making the occasional decision on the snow!